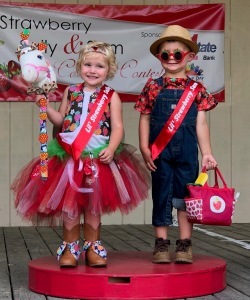 First State Bank is proud to present the Lil' Strawberry Sally & Sam Costume Contest held each June during Waupaca's Strawberry Fest. It's a tradition we've enjoyed for decades and a great example of how First State Bank is committed to our communities. 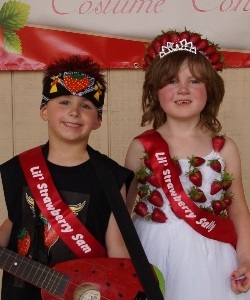 What is the Lil' Strawberry Sally & Sam Costume Contest? 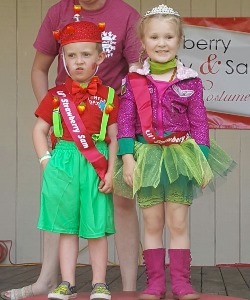 Boys and girls age 2 to 5 years old are invited to dress up in their best strawberry-themed outfit/costume. Participants are judged on their strawberry theme, originality, and personality. Prizes are awarded to 1st, 2nd, and 3rd place boys and girls, including a $50 US Savings Bond for the Lil’ Strawberry Sally and Sam first place winners. All participants will receive a goodie bag. The event is co-sponsored by First State Bank and Sunny Day Child Care and Preschool.